While on a job search, you will find it necessary to research a company. Before you apply for a position, you research a company to see if you are interested in the company. When you are called for an interview, the information you have gathered will help you prepare to ace the interview. The more you know about the company, the better you can answer and ask questions that show you are the best candidate for the position. With a little digging, you will learn all you need to know. Public libraries: Fortunately, there are many resources available to you that provide material you need. Your local library has material on hand that will give you facts and figures about just about any company. Talk to sellers, distributors, and customers: If the company produces a product, you can talk to the sellers, distributors and customers about the product. You can ask about features, competitors, how it sells, and its reputation in the market place. Call the company: Depending on the type of business you can call the company and request information, catalogs, or literature about the company and its products. How you are treated on the call will give you a clue into the company culture. Company website: Read every page of the company’s website. It will give you information the company wants you to know including press releases. Periodicals: There is a magazine, newsletter or journal for every industry or interest you can think of and provides regular information about the industry and its members. Talk with employees: Find current and former employees of the company and ask them questions to get the information you need. Research the industry: Look at what their competitors are doing, and their products. Compare the companies and see where the company stands. Set up a Google Alert: Get updated information about the company, its products, employees and competitors by setting up Google Alerts for all the above information. Social Media: Follow the company on LI, Twitter, and Facebook for breaking news. These are only 3 of the many ways you can find out about the company, and if you know of others, follow the company on those, as well. Hoovers.com and Glassdoor.com: These sites will give you financial and salary details about the company. Knowing the financial status of the company is necessary to decide if you want to apply there or not. 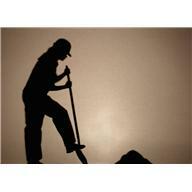 Dig up as much information as you can about the company. The information is available; all you have to do is find it. Fortunately, it is easy to find in libraries and in your own home. It is there waiting for you to find it.